What is FertilAid for Women? FertilAid for Women is a fertility-enhancing dietary supplement that is designed to help women support reproductive wellness by restoring hormonal balance to optimize your chances of conceiving. 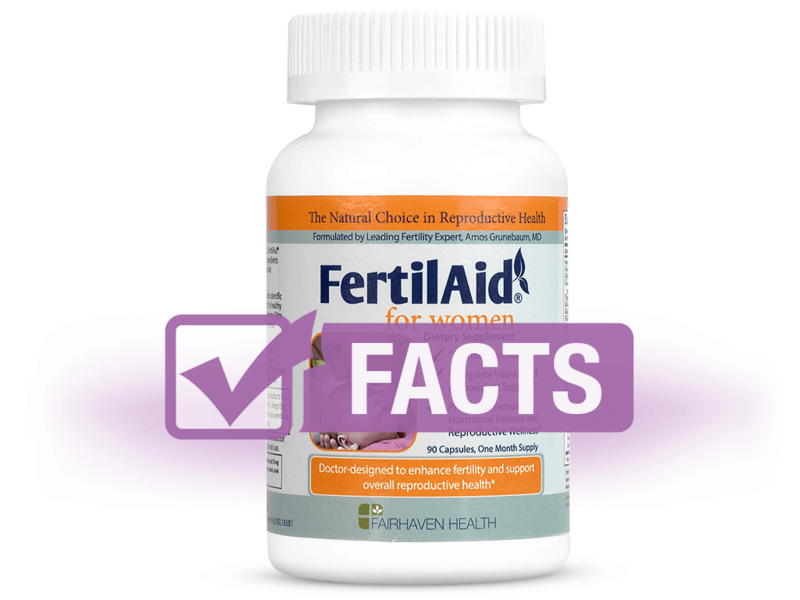 FertilAid does not outwardly explain how their supplement works, only claiming that the blend of herbs in the product is designed to promote overall reproductive health by providing 100% RDA of vitamins, minerals, and antioxidants needed by those struggling with female infertility. The formula helps balance hormones that govern monthly menstrual cycles and reproduction. Vitamin C - required for wound healing, a healthy immune system, the absorption of iron, etc. This vegetarian product does not contain gluten, dairy, artificial colors, or artificial preservatives. The company does not offer any information pertaining to the safety of long-term use of FertilAid for Women. There are no clinical research studies proving favorable effects of the supplement on fertility. To this day, there are no known contraindications, but it is best to confirm its use with a trusted healthcare physician beforehand, especially if on medication. FertilAid does not mention any short- or long-term side effects of this fertility supplement. However, users of Amazon mention side effects of nausea, fatigue, vomiting, abdominal cramps, and (in some cases) increasingly irregular periods. Positive reviews credit FertilAid for Women for allowing them to get pregnant within the first month or two of trying to conceive as well as for improving symptoms of polycystic ovary syndrome (PCOS). Negative reviews focus on the fact that the supplement didn't work for conception, ruined menstrual cycle rhythms, and side effects of headaches, allergic reactions, weight gain, joint pain, gastrointestinal issues, nausea, cramps, and more. Positive reviews praise the fertility supplement for quick conception efforts and helping regulate cycles thrown off by PCOS. 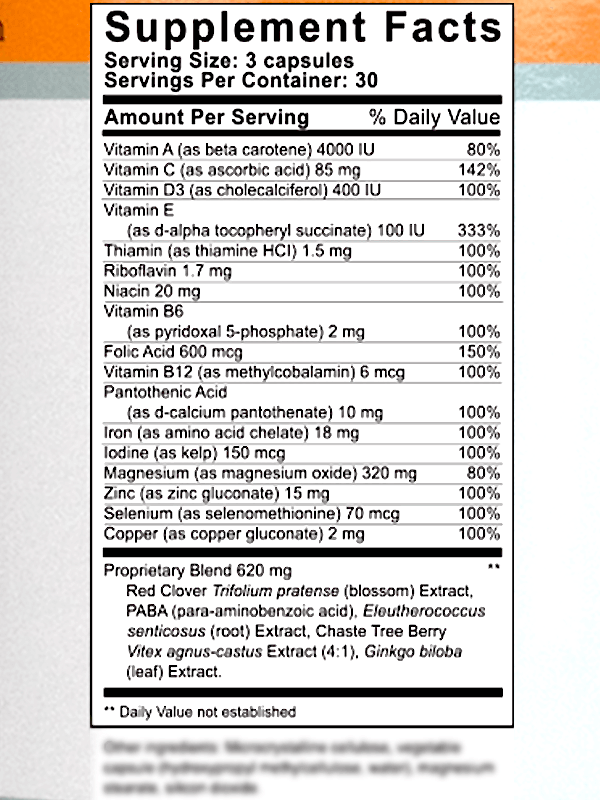 Negative reviews also claim that the supplement was a waste of money because it didn't work. As a dietary supplement, it is recommended to take three capsules daily for at least 90 days or until pregnancy is achieved. To avoid any possible stomach discomfort, take one with each meal of the day. If you forget a day, resume normal dosage the next day. Continue use throughout your menstrual cycle until pregnancy has been confirmed by a blood or urine test. FertilAid for Women can be purchased online from the company website or also through Amazon. It can also be acquired from participating pharmacies, such as Walgreens.